We are pleased to have the talented David Currie with us for the evening. David plays guitar & sings and is full of interesting stories and experiences to share. 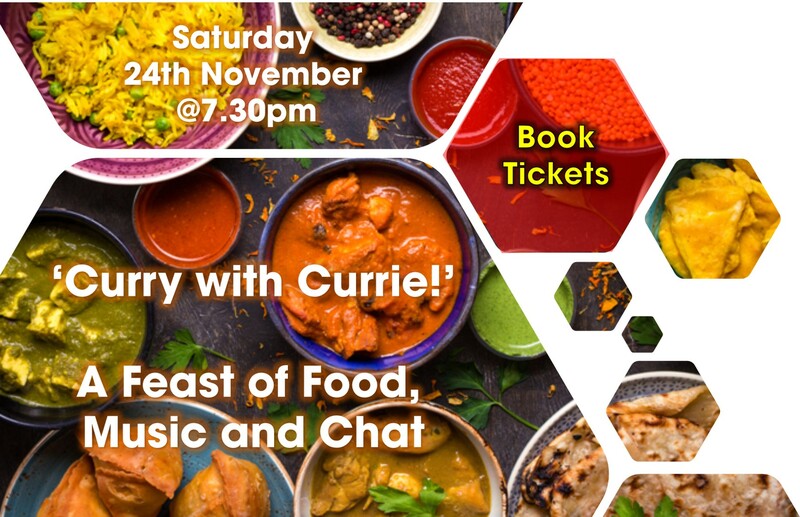 Curry will be served throughout the evening, with a selection of dishes and accompaniments.